Mumia Abu-Jamal has been in jail longer than members of the millennial generation have been alive. Those who’ve followed his case know he’s served his time in the Pennsylvania State Correctional Institution “ona move,” to use one of his catchphrases. The most identifiable prisoner in the known world, through his own persistence and with the help of a core council of support who works to deliver his books and his Prison Radio broadcasts, Writing on the Wall is his latest communique to reach us from the confines of the prison nation. 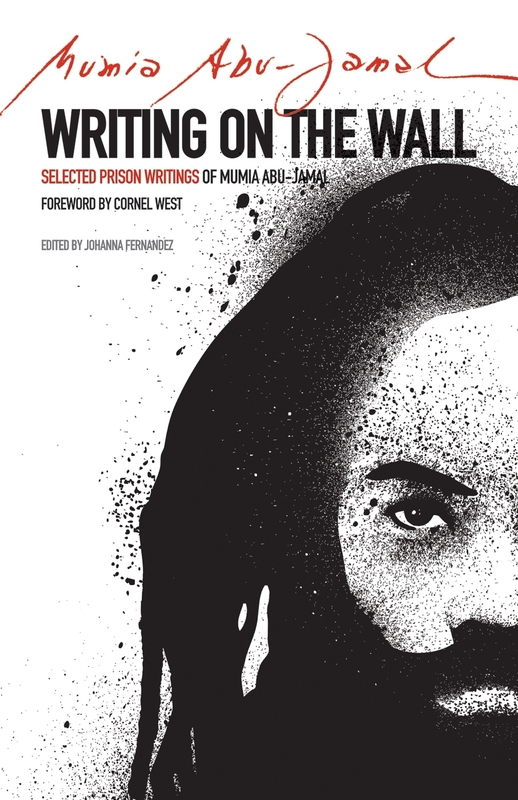 Published by City Lights Books and selected by Johanna Fernández, a scholar, educator and coordinator of the Campaign to Bring Mumia Home, over 100 previously unpublished short essays by Abu-Jamal well-cover our history of violence (from the police bombing of the MOVE headquarters in Philadelphia, to commentaries on the violence in Ferguson, MO ) and the media circusry that accompanies it. Prepared in the style and format of his Prison Radio pieces broadcast on public radio, Fernández wrests hope from Abu-Jamal’s prophecies that one day America might live up to the truth of its own advertising. “Like Nelson Mandela, Mumia defies his captors by preserving his integrity and compassion in the face of the hateful repression orchestrated against him,” she writes. Read the full review at Down With Tyranny!